That is dog poo poo. 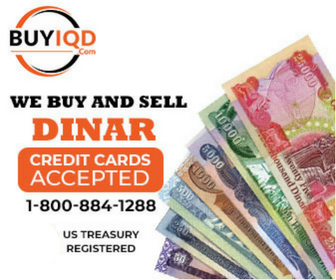 Me and my entire family bought Dinar from Chase 10+ years ago when we originally got into this, but they did stop selling it shortly after we bought it. Shows how much this guy knows, but Chase did sell Dinar at one point. My wife worked for Chase at the time so unless they sold us counterfeit Dinar I can assure him it came from Chase. Not to mention someone with poor punctuation and spelling, get a life and worry about yourself!